Tom Ogren has been a great customer to BsnTech Networks. He has also referred another customer to us – and just recently, we added another customer as well. Him along with a team of individuals started a non-profit organization in California – Safe Gardening. 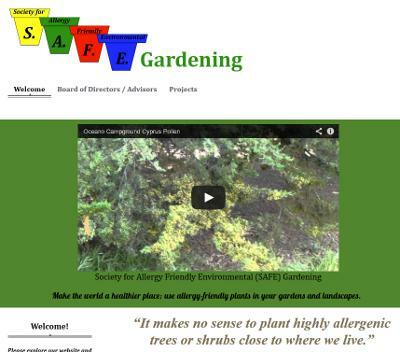 They are attempting to spread the word about using plants and trees that help allergy sufferers. Planting male trees causes a large amount of pollen and therefore poses a threat to allergy sufferers. We appreciate the continued business that Tom has provided us – especially through his referrals of others in his field looking to have websites created for their organizations. It is also a testament to how our customers respond to our service offerings and efficient attention to their needs.